It started with a pool party we hosted last weekend. I wanted to get in better shape and reconnect with an old friend. This morning I took a step in the right direction to doing both. 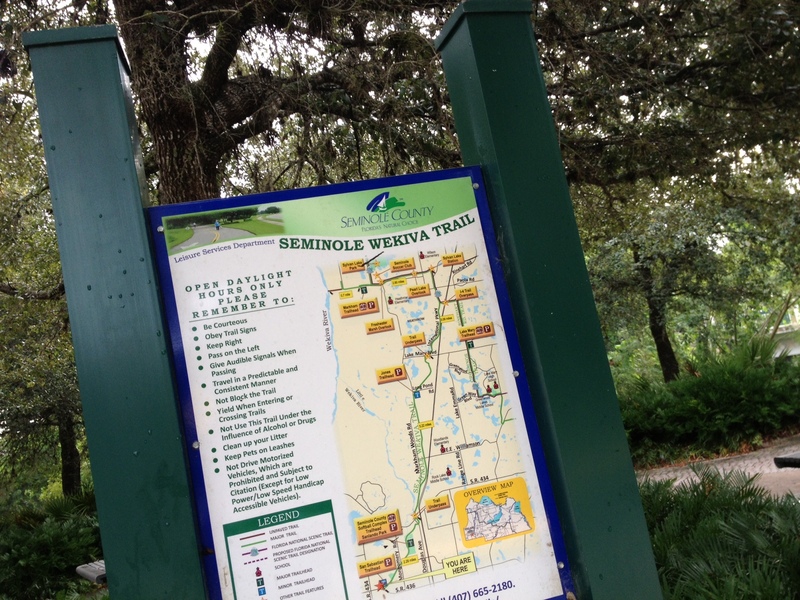 The Wekiva Trail in Seminole County, Florida is one of many “rails to trails” pathways that present a marvelous opportunity for outdoor exercise. 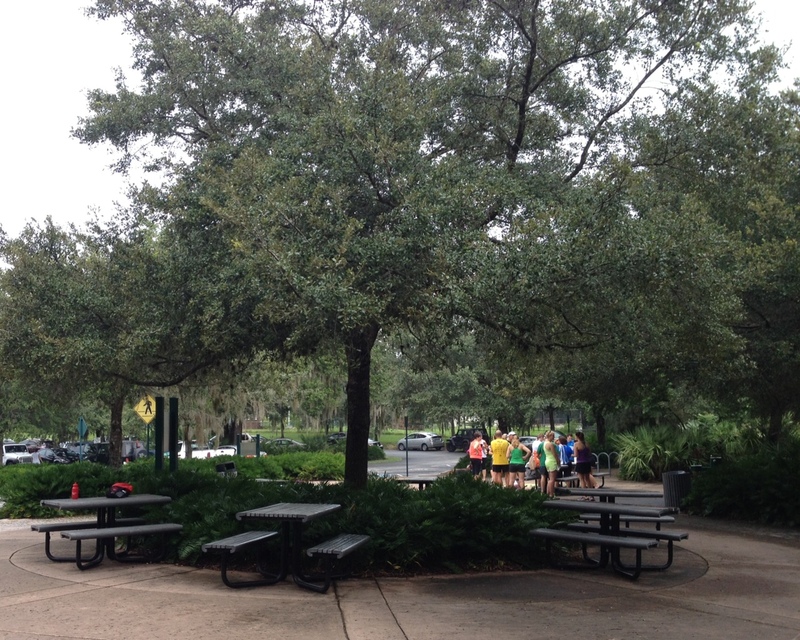 We chose to meet at the San Sebastian Trail Head to begin our trek along the Wekiva Trail. We found the Trail Head to be quite occupied and full of fellow weekenders enjoying the trail. 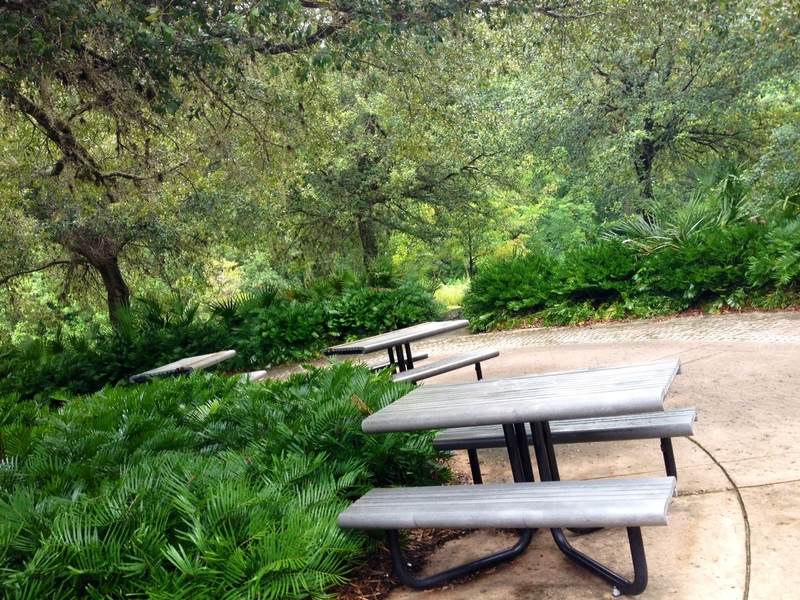 The entrance offers a fair amount of parking and a number of picnic tables. There is plenty of room to stretch out and warm up before hitting the trail itself. The sound of a small babbling waterfall is the perfect welcome to this lush and moist wooded area. 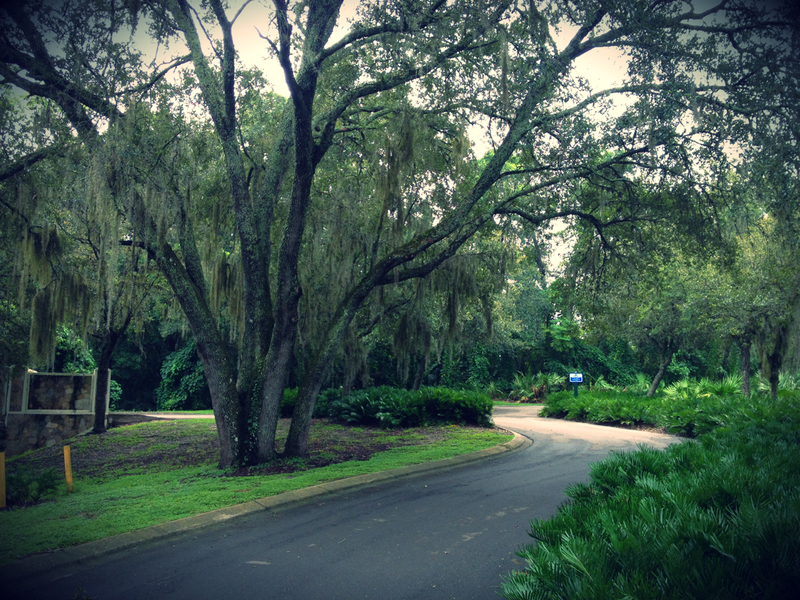 The Wekiva Trail’s length is quite impressive. It stretches 14 miles from Altamonte Springs, FL to Lake Mary, FL. 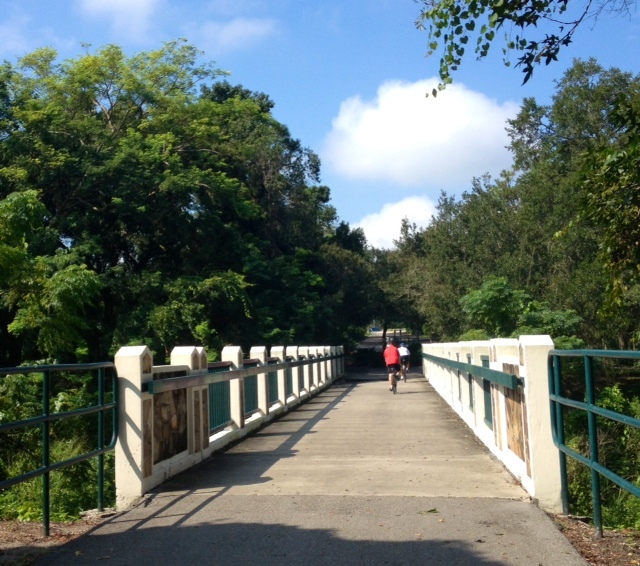 There are two main access points or trail heads, though given its length, it weaves through a variety of neighborhoods and roads where the trail can be accessed from many cross walks. 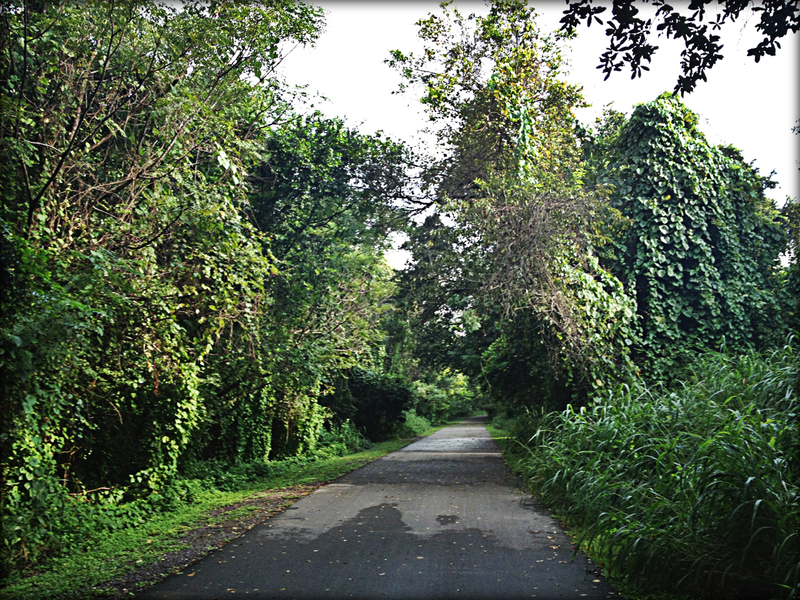 The day came alive as we embarked on our brisk walk. The morning mist made the air thick and moist. Birds cheerfully chirped. Though I am not an experienced walker or runner I came prepared with a small backpack fit to carry a supply of bottled water. Thankfully my friend is more experienced than I and brought along coconut water, which provides better hydration and cramp-preventing potassium. Without really thinking about it, we walked about a third of the entire Wekiva Trail, making it all the way to 434 before turning around and walking all the way back to San Sebastian Trail Head. 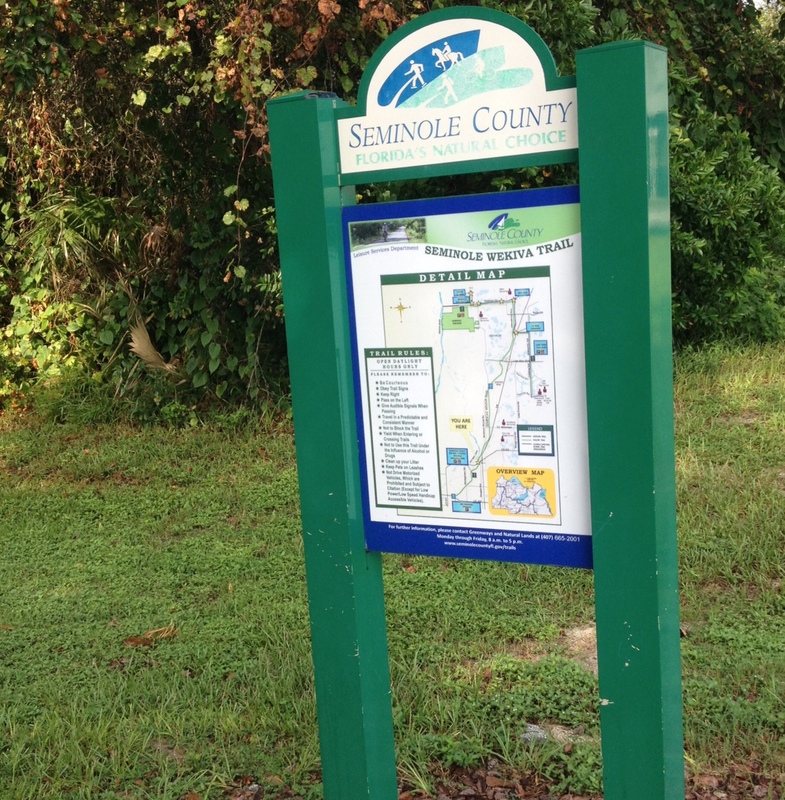 It should be noted that the popular Wekiva Trail welcomes cyclists of all skill levels, so we had to be aware of those that wanted to maintain their speed and make sure we were out of the way. It was a great morning and a wonderful way to enjoy the county that I call home. So glad you did this! I have always wanted to walk parts of the trail.